Lorcan is an Urban Planner and Urban Design professional working with Cork City Council since 2015, having worked in urban and regional planning for the past 15 years. He is currently a member of the Cork City Centre Steering Group, tasked with managing and fostering Cork’s City Centre as the “healthy heart” for the city and wider metropolitan area and region. In more recent years he has also developed his understanding of community and economic development at a city level, through the delivery of “Pure Cork – An Action Plan for the City”, Cork City Local Economic & Community Plan 2015-2021. He is also a member of Cork City Councils Planning Policy team, currently working on strategic projects including the delivery of new Local Area Plans for Cork City Docklands and Tivoli Docks. 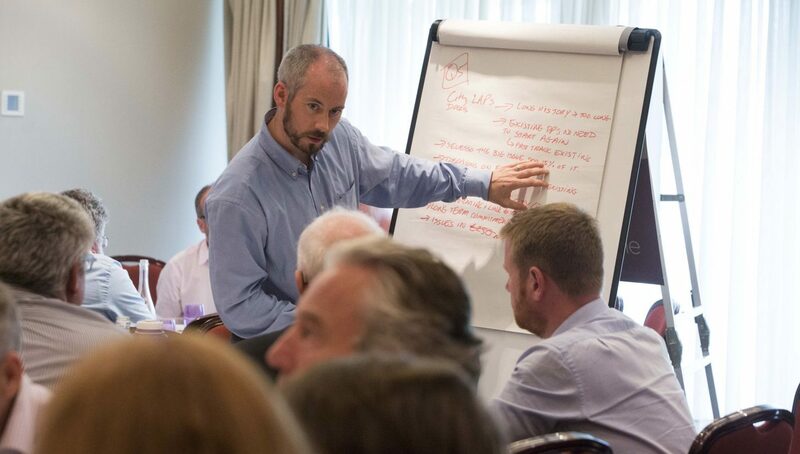 Lorcan has developed skills to support the delivery of good urban design and planning policy principles and guidance through active engagement with local communities and other city stakeholders.